If structured propositions are logical procedures then how are procedures individuated? This paper deals with two issues. First, it identifies structured propositions with logical procedures. Second, it considers various rigorous definitions of the granularity of procedures, hence also of structured propositions, and comes out in favour of one of them. As for the first point, structured propositions are explicated as algorithmically structured procedures. I show that these procedures are structured wholes that are assigned to expressions as their meanings, and their constituents are sub-procedures occurring in executed mode (as opposed to displayed mode). Moreover, procedures are not mere aggregates of their parts; rather, procedural constituents mutually interact. As for the second point, there is no universal criterion of the structural isomorphism of meanings, hence of co-hyperintensionality, hence of synonymy for every kind of language. The positive result I present is an ordered set of rigorously defined criteria of fine-grained individuation in terms of the structure of procedures. Hence procedural semantics provides a solution to the problem of the granularity of co-hyperintensionality. The research reported here in was supported by the Grant Agency of the Czech Republic, Project No. GA15-13277S, Hyperintensional logic for natural language analysis, and by the internal grant agency of VSB-TU Ostrava, Project SGS No. SP2017/133, “Knowledge modelling and its applications in software engineering III”. Versions of this paper were read at the Barcelona Workshop on Reference 9 (BW9): Unity and Individuation of Structured Propositions, Barcelona, 22–24 June 2015. 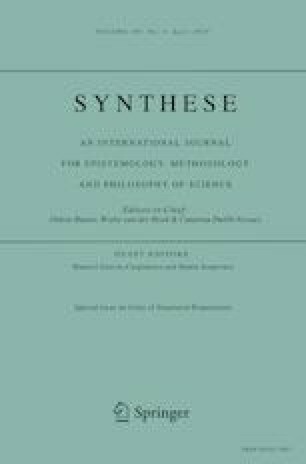 I want to thank Bjørn Jespersen for great comments along the way, and not least two anonymous referees for Synthese. Jespersen, B. (2017a). Anatomy of a proposition. Synthese, S.I. Unity of structured propositions, published online August 2017. https://doi.org/10.1007/s11229-017-1512-y. King, J. C. (2014). Structured propositions. In E. N. Zalta (ed.) The Stanford encyclopedia of philosophy (Spring 2014 Edition). http://plato.stanford.edu/archives/spr2014/entries/propositions-structured/. van Lambalgen, M., & Hamm, F. (2004). Moschovakis’ notion of meaning as applied to linguistics. In M. Baaz, S. Friedman, J. Krajicek (Eds. ), Logic Colloquium’01. Digital Academic Repository. Amsterdam: University of Amsterdam. http://dare.uva.nl/record/123675/. Accessed 13 September 2017.